"We've been using simulation for 20 years and only in the last year since installing SIGMASOFT have we been able to realize the significant changes to our business. SIGMASOFT is more than just an engineering tool; it’s proven to be a complete business tool for us. It heps us to quickly understand very complex problems and find solutions." Tessy has used simulation software for more than 20 years. 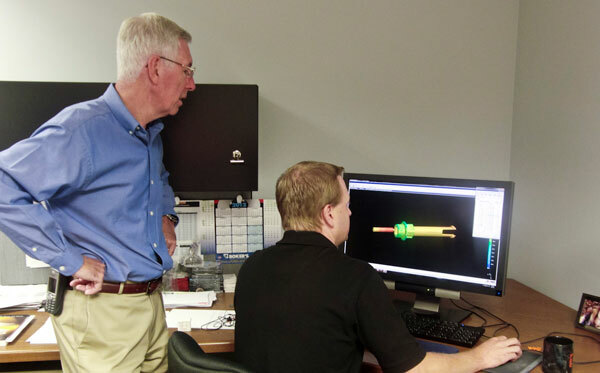 Three years ago they added SIGMASOFT® simulation software as an additional resource, one they now feel has significantly changed the way they do business, enabling them to expand their global presence while finding the most cost effective and high quality manufacturing solutions. Raffa added, “It essentially short cut the entire process; we didn’t try running DOEs of all different configurations or measuring a ton more parts to chase something that was really not the solution.” Matt Learo, Sales Manager, added, "What's reassuring about this situation was that we hadn’t used SIGMASOFT for very long at this point and the customer was willing to pay for the stress and distortion analysis from the engineering company and see how the results compared. We found the results long before the engineering company did. When we did receive their findings, they were the same. The difference was, we were able to show why it happened and already had a solution to present our customer."